Professor Simon A. Burtonshaw-Gunn is a practising management consultant with significant experience in both the public and private sectors covering a range of organizations and industries. He has undertaken assignments in Asia, North Africa, the Middle and Far East, and Eastern Europe. To support this experience he holds two Masters degrees and a PhD in various strategic management topics together with fellowship of four professional bodies. 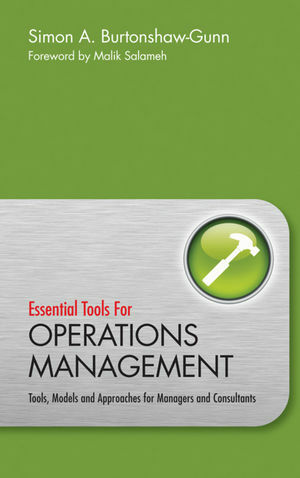 This book follows the popular The Essential Management Toolbox (John Wiley & Sons, 2008).